You are currently browsing the tag archive for the ‘The Bible’ tag. 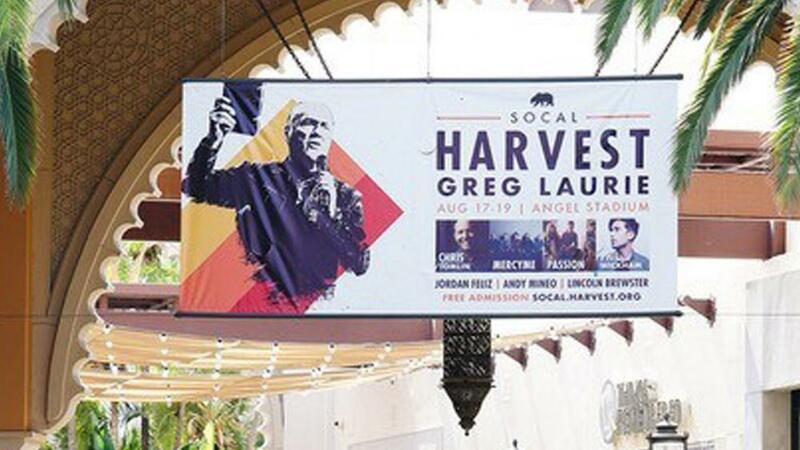 It remains to be seen how a recent controversy will affect evangelist Greg Laurie’s annual SoCal Harvest Aug. 17-19. However, considerable media coverage in the Los Angeles area could ultimately boost attendance at the 29-year-old event. Laurie, who leads the Riverside-based Harvest Christian Fellowship, was featured in a promotional billboard holding a generic Bible. After two weeks, the Irvine Company removed billboards from a Newport Beach mall and the Irvine Spectrum because of complaints. In a blog post last week, Laurie pointed out the book didn’t say Bible or have a cross on it, although he affirmed it was a Bible.